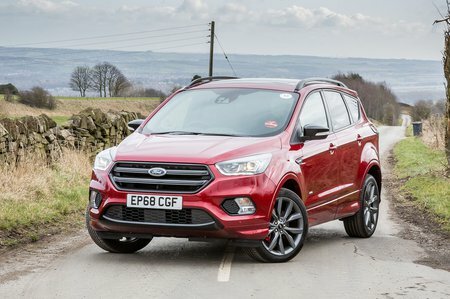 Ford Kuga ST-Line Edition Review and Deals 2019 | What Car? Adds keyless entry to the ST-Line's features, as well as bigger wheels and a panoramic sunroof. However, it's one to avoid, because it is expensive, the 19in wheels hurt the ride and the sunroof robs head room.